An Infant in a box – REALLY? Who would put an infant in a box? Well, hopefully, new parents in Denver will! 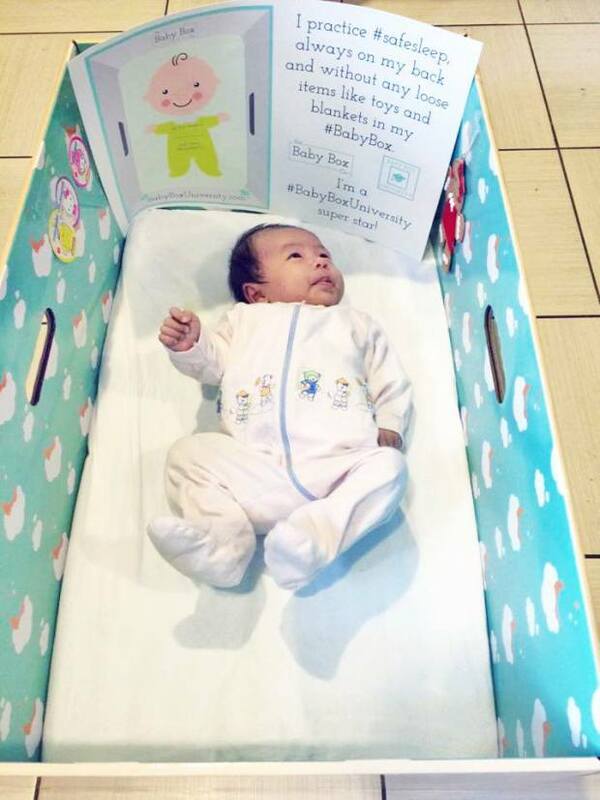 Denver Public Health hopes to soon begin a campaign distributing free baby sleep boxes across the city, a first, modest step in Colorado to help new parents gain access to a simple tool that health experts say could greatly reduce infant mortality. Please check out this Denver Post article referencing Denver Public Health. 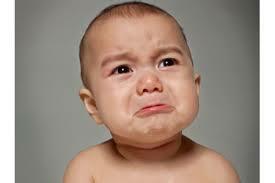 The leading cause of death in infants – that’s birth to age one – is Sudden Infant Death Syndrome (SIDS). It is believed that this tragic occurrence, happening during their sleep, is likely caused by suffocating due to items in the crib with them Doctors recommend *nothing* in the crib with an infant. Infant in a Box. Yes, really! A small, safe place to sleep – these infant sleep cardboard boxes (used for many years in Europe, already) – are a simple and wonderful solution to the two dangerous situations listed above. Despite years of research, doctors don’t know why SIDS strikes some infants. However, we do have accurate numbers of its occurrence. In Colorado, between 50 and 80 babies have died from SIDS each year since 2004. Safe sleeping is a goal that every parent – and babysitter – can commit to by following the advice from our excellent Children’s Hospital of Colorado. Connect with me on my Facebook page to keep receiving these tips! Please SHARE this information with your network – THANK YOU! The people who choke most often are small children and senior citizens. So, youth who want to be babysitters, be sure to get trained, first. Help a choking child, because you’ll know what to do! I have taught Babysitting CPR classes for 17 years for youth ages 11+. Training to be a safe Babysitter is so important – but feeling confident as you start babysitting is “worth its weight in gold”, as they say. As I always say in my class to young students, “parents are looking for YOU because you are a) kind and you are b) trained.” I am so pleased that parents of prospective babysitters are directing them to my class because I include full CPR in the course. I urge you to check my website page called “Compare the Classes” – it compares “babysitting” classes that don’t include mannequins and CPR, diapering with dolls, etc. Take a GOOD class which includes preventing injury, quality time with children, first aid, choking skills, diapering/burping, tummy time, shaken baby syndrome – and full CPR. Please visit this excellent information site: SafeKids.org for keeping children safe. 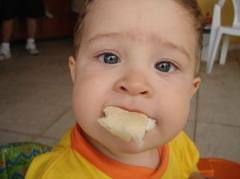 non-fatal choking incidents, almost 60 percent were food-related. See the world from a child’s point of view. Get on the floor on your hands and knees so that you are at the child’s eye level. Look for and remove small items. Parents often don’t know it was swallowed! 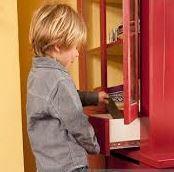 These include magnets found in construction sets, children’s toys, refrigerator magnets. 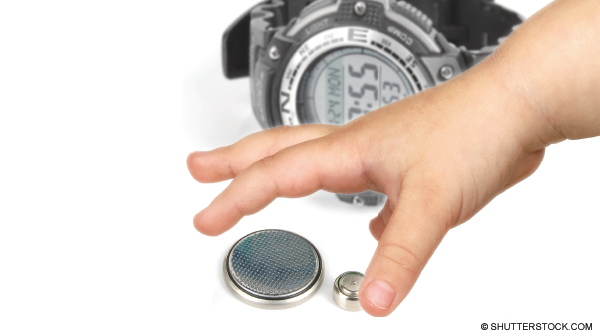 Seek medical attention immediately if you suspect that magnets or batteries have been swallowed. Look for abdominal symptoms, such as pain, nausea, vomiting or diarrhea. Get trained before babysitting – and learn CPR. Stay Safe! A) someone who is KIND and B) someone who is TRAINED. If you completed my class you’ve been trained in preventing injury, quality time with children, first aid, choking skills, diapering and burping, when to reach out for an adult, FULL CPR and more. You have been given, also, your class completion card from my Training Center, of the American Safety & Health Institute. Because of your training, parents feel reassured to hire you – and you can earn income (which makes you feel very proud and happy). One of my 12 year old students shared a story in class about how, at age 4, he had a brand new babysitter one day. His mother showed the girl around the house, gave information, etc., and then departed. The girl immediately went to the computer and played video games. She ignored Kyle and refused to interact with him. Bored, he had a great idea as he wandered around the house! 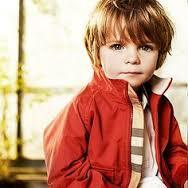 He would tie a little blanket around his shoulders and jump out of the 2nd story bedroom window and FLY! So… yes… he did it. He landed on the concrete sidewalk beside the house and was rendered unconscious; babysitter still on the computer, of course. A pedestrian finally saw his body and raced to the door to exclaim, “Is this child? Your child is lying here!” 911 was THEN called and he, miraculously, survived such a dreadful impact. He shared this true story – it helps illuminate that “bad babysitters” are definitely out there. A mother who booked a class with me to train her 10 Girl Scout Troop members in Babysitting CPR, shared in class this scary story. She shared that, years earlier, she and her husband hired a young babysitter living just down the street to watch their 18 month old baby so they could go out to eat, going on a “date”. Driving back home down their street, they saw this girl walking down the sidewalk! They were utterly and completely horrified. They raced to the girl for an explanation – she said she was tired of babysitting and “wanted to go home, now”. They dashed home to find their baby peacefully asleep. The baby’s mother then escorted the young babysitter home to share the enormity of the irresponsibility the girl had displayed. She told the girl’s mother to NEVER let her babysit – ever! Babysitting CPR Training – Get it Now! This is a scary story that turned out VERY WELL! A young mother, who was untrained, was home with her 5 month old infant when it began to have trouble breathing. Trouble breathing is one of the main life threatening conditions. She called 911 but while awaiting their arrival, the baby STOPPED breathing. She ran out to the front yard and screamed, “Somebody help me! Help! My baby’s not breathing!” Two 10-year old boys playing nearby ran to her to ask, “What’s the matter? What?” When she said that her infant was not breathing, they looked at each other and said, “We’ll help you!” And they did. They went into her house and showed her how to place her 4 fingertips on the baby’s sternum and compress approximately 1.5 inches at a certain rate and then to blow into the baby’s little lungs two times (which is CPR!). The baby’s life was saved due to these 10 year old boys because the baby had this excellent care (via their tutoring) prior to 911’s arrival. Scary story – but they knew what to do! Parents Want You – Because YOU are trained! There are babysitting classes out there that do NOT include CPR. I believe it is vital to have a great Instructor (not volunteers who teach twice per year, perhaps), mannequins, baby dolls, great book and passion to teach the topic. I have loved my 17 years doing so! During my 17 years of teaching youth Babysitting CPR (age 11+), I have always stressed NOT turning on anything electronic as the best choice while babysitting. QUALITY time with the children is about what all specialists advise – READING to them, PLAYING with them, and TALKING to them. And Four to a Chair can help babysitters – and parents – do all three! Reading to children soothes their emotions, sparks their imaginations and develops vocabulary, social skills and even brain development. SO, tuck them close and read to them! 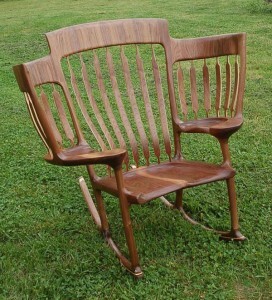 Awesome grandfather Hal Taylor creates fantastic chairs that seat FOUR. That’s right – Four to a Chair! 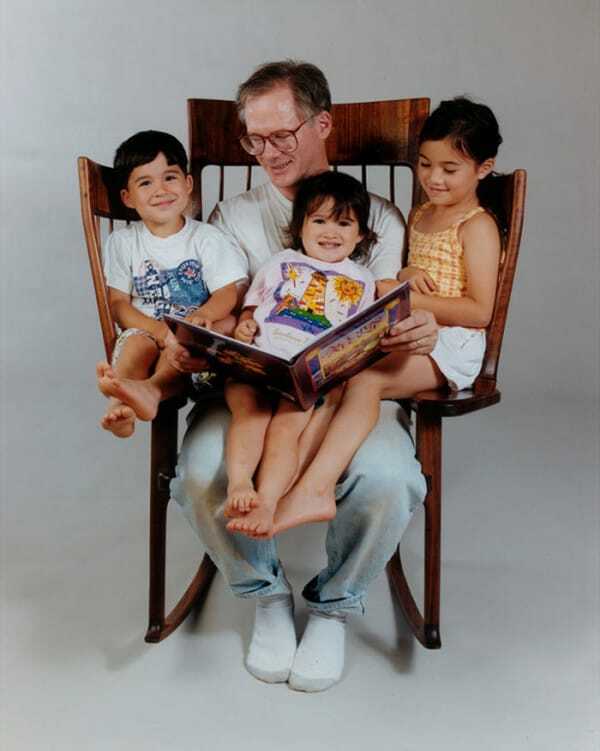 Check out Hal Taylor’s website about his creating these wonderful Storytime Rocking Chairs. They are of the highest quality, crafted by a master carpenter, to be sure. They are, yes, pricey. It would be wonderful if more and more people purchased these works of art – but the IDEA of sitting close like this (however you devise it), is definitely reinforced by Hal Taylor’s choice to make this chair so that he could spend quality time with his grandchildren – ALL of them! Whether to purchase one of Hal’s chairs, or devise something of your own, a Storytime Rocking Chair is something babysitters would do well to create. I urge babysitters to enjoy making living room blanket “forts” to enjoy with the children. Perhaps they might devise their own Storytime Rocking Chairs, too? Four to a Chair. HIGH quality workmanship! This rocking chair helps babysitters – and parents – READ to children! I love the idea of putting a puppet on your hand and start asking the children questions so they can TALK. “Would you rather hold a baby duckling or a baby turtle?”, for instance. Babysitters, ask children questions, encourage them to talk, ask them about their feelings. Hal Taylor, chair maker extraordinaire! Everyone knows the story about the internet: earliest impressions were “Internet allows for massive knowledge and learning”, “Internet is a vast and amazing library”. BUT, next came the shock of discovering violence/crime on the internet, predators on the internet, vicious games on the internet, etc. 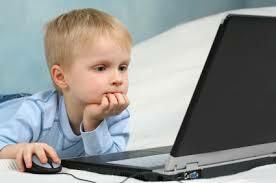 So, here we are, today, with the big questions of internet security and how much Screen Time for Kids “should” there be? Screen Time for Kids? Not much! For over 16 years, I’ve been teaching Babysitting CPR classes in the Denver area (age 11-15). Besides first aid, diapering, burping, preventing injury, FULL CPR – lots and lots of content – I spend considerable time talking to them about Quality Time while Babysitting. It is, of course, not only wonderful for the children to get attention, to be read to, to be played with, it is a great investment in their small business! I remind my students that children are asked by their parents who they want for a babysitter – I tell my students that *they* will be the ones wanted if the children have a nice time with them, affectionate time, creative time, PERSONAL time. That, of course, means no computer or TV time whenever possible. The American Academy of Pediatrics offers some excellent advice about screen time for children ranging from little toddlers to older teens. Great advice! The Academy breaks down their advice into two categories – advice for children up to age 5 and for ages 5-18. CBS News has offered a snap shot view of the recommendations. What I really like about the advice is that it stresses what to do “instead” with the child – play, exercise, dining, and more. For instance, no computer in the bedroom! It’s a strong message; limit screen time and activities to do, instead. 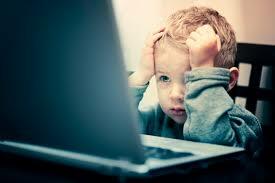 Parents are busy – it can be too easy to “plop the kid in front of the screen”. I hope you benefit from the advice from the American Academy of Pediatrics! It’s so simple. Yet so effective! Hand Washing is so very, very important. 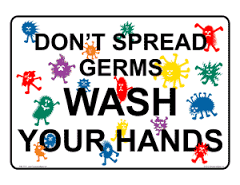 Hand washing stops illness because adults and children are erasing the germs accumulated at work, at school, at the store, at day care – wherever! Most of us wash our hands far too quickly. A too-quick washing gets rather close to having no value, regardless the soap we used. When I teach my youth Babysitting CPR classes, we pretend to wash our hands while I count to 20 for them. It *really* illuminates to them how long 20 seconds really is. We all chuckle because 20 seconds starts to feel long – that’s why adding a little song is so popular to do so the 20 seconds has fun associated with it. Hands down, the length of time, along with the soap, is what makes hand washing the GERM KILLER we all need. Everyone in the family – and even your community – benefits from stopping germs and disease from being spread due to the ceaseless number of surfaces we all touch. We touch tables, desks, doorknobs, light switches, keyboards, chairs, etc., etc. BOTH Babysitters and children wash hands often! Please watch this short video clip from the Center for Disease Control where its Director, Dr. Tom Frieden, explains how important hand washing is to you and your family. School has begun and we all know that constant interaction between hundreds and hundreds of students can explode the incidence of colds, flu, sore throats, and more. Mayo Clinic offers a nice list called Hand Washing: Do’s and don’ts. Just home from work or school? Wash your hands FIRST. Handled food, pets, dirty shoes? Wash your hands. It’s a win – win! Cardiac Arrest vs. Heart Attack. Not the same. Cardiac Arrest vs. Heart Attack? Sometimes the two terms are used as one. Yes, they can seem the same, but what they are, medically, is quite different. It is wonderful that more and more people are getting trained how to give care in an emergency situation. 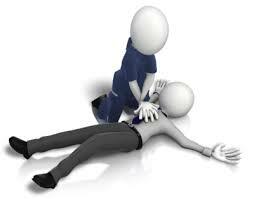 You ARE most likely to give care to someone you love who is choking or unconscious. Unconsciousness can occur with people suffering a car accident, had a breathing emergency that escalated, had a diabetes incident – or is having a heart attack. Except, wait… OR is it a cardiac arrest? A heart attack is a circulation problem. 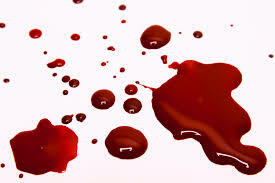 Blood is not flowing well due to clogging of the arteries. But the heart can continue to pump, though it’s in trouble. A cardiac arrest is an electrical problem. The heart is not pumping correctly. It stops pumping. The deadly rhythm is, most often, “fibrillation”. Thus, what is needed is de-fibrillation – the equipment that delivers a large electrical charge to the heart. Cardiac Arrest vs. Heart Attack. I have been teaching CPR, First Aid and youth Babysitting CPR for 16 years and am passionate about people getting trained. Students tell me, year after year, about wonderful incidents where their relative or friend was saved, how they personally assisted someone, the quick help from EMS (Emergency Medical Services /911) and more. I include full CPR in the Babysitting class I teach to youth, age 11+. Compressions save lives. It is a beautiful thing when my young students come to me at the end of class and share, with their luminous smiles, “I feel confident, now” and “thank you SO much for this class”! It warms my heart and keeps me going. People wonder when to call 911 and I like to think of what a paramedic friend of mine always says, “If in Doubt, Call Them Out“. Dispatch is RIGHT THERE for you and helps get clarified what is happening and the urgency of your call. Dispatch rocks. Dispatchers are typing a constant flow of information to the 911 responders, who are underway in traffic, right away. Dispatchers help you calm down and proceed with care until EMS arrives. That “Window of Time” until EMS arrives is where YOUR TRAINING kicks in. You are most likely to give care to someone you love. Be ready. Get trained how to do compressions. Get trained what to do if someone is choking. Distracted driving danger is on a deadly rise. We know for a fact that our brains have difficulty juggling multiple cognitive tasks that demand our attention. “Juggling multiple cognitive tasks” translates to “You can’t drive and also focus on a voice/text call”. Cognitive tasks are those needing you to think and process. For instance you CAN chew gum while performing the cognitive task of driving because you don’t have to think to chew gum. It is a myth that “Drivers can Multitask”. The National Safety Council (NSC) has compiled a massive amount of scientific studies about the brain’s capability, about distracted driving, about perception and reaction times when using a cell phone – even a hands-free situation! Although texting is clearly a serious distraction, NSC data show drivers talking on cell phones are involved in more crashes. Driving while talking on cell phones – handheld and hands-free – increases risk of injury and property damage crashes fourfold. 2) speeding. Distracted driving has definitely become number 3) ! Since 1994, which covers the explosion of cell phone users, there have been 737,000 lives lost to motor vehicle crashes. Seven hundred thirty seven thousand lives. 737,000 lives. 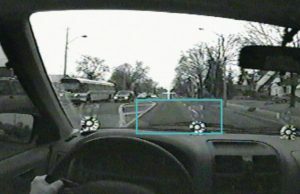 Distraction.gov, the official US Government website for distracted driving danger, overflowing with information about this issue, is a wonderful library to check out. So there are drivers texting or talking on their cell phones? Now add how many, many pedestrians, every age, are walking along in a haze as they text, talk or play video games. They are crossing streets without looking. They are moving around parking lots, oblivious to cars also moving around the lot, as a few examples. Here’s a too-common scenario: a distracted driver strikes a distracted pedestrian. The NSC offers excellent online training classes about issues such as: Defensive Driving, Distracted Driving, Motorcycle Safety, Alive at 25, and more. A very nice feature is that you can take a free short demo in advance of the class to see if it’s a fit for you. When you think about it, you are hurtling along in a massive frame of steel – and so is everyone else. Let’s not collide with each other – or pedestrians – or motorcycles. Everyone, please, let’s do nothing but drive. .
Let’s all stay alive! It’s a community commitment. CPR Training improvements quiz. Learn changes at a “CPR Party”. CPR Training improvements! The major CPR training agencies convened in 2015 to again adjust CPR protocols with the objective of making learning CPR even easier. As a Training Center for the American Safety and Health Institute and owner of EasyCPR-Denver, I love that! The goal is always to save lives and, from those earlier days when training had too many steps, we have evolved to excellent clarity about CPR. It is easier than ever to understand why we perform CPR, how to perform CPR – all with fewer steps to ascertain whether CPR is/isn’t needed. We also have Compression-Only CPR! I have enjoyed teaching for 16 years Babysitting CPR Safety classes for age 11-15 so they can be safe babysitters, understanding diapering, basic first aid, shaken baby syndrome, quality time and, yes, FULL CPR. However, I find that the same conscientious parents wanting their youth to be trained before babysitting, can somehow believe the need to give care “won’t happen to THEM”. The 12 year old is trained, now – are her/his parents? Sadly, often not! In their household, the 12 year old knows what to do – but nobody else! CPR Training improvements – learn them! How long ago did you take CPR? Perhaps those parents got training once – but that was when the current 12 year old was a newborn, perhaps? That’s a LONG time ago… There have been CPR Training improvements! Things have changed for the better and it’s ever more important to be ready to give care. We are MOST likely to give care to someone we love. Can Grandma choke? Is the three year old choking? Does the 42 year old aunt need CPR? Is the 22 year old unconscious and starts to vomit? You feel confident to perform CPR! Are a heart attack and a cardiac arrest different? If I can’t wake the person up, but they are breathing, should I give them CPR? If someone is coughing and coughing to dislodge something in their throat, do I smack their back? Do more women die of cancer or heart disease? Is the main symptom for heart trouble, for everyone, chest pain? If the person in trouble doesn’t want my help and insists that I not call 911 – should I obey? Be ready. Get trained. The 2-hour CPR class covers CPR and the choking skills. 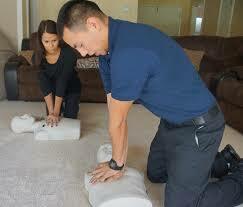 I teach “CPR Parties” at your home or business. I call them “parties” because you can follow the class with a friendly social time, whether at your home with loved ones or at your business with clients. Call me so I can explain how easy it is – I’m EasyCPR-Denver! Heart disease. 1 in 3 women die of heart disease. No. Chest pain is a symptom for men but might completely absent in women. Women have different symptoms. No. You must have their permission to touch them. You do not need their permission to call 911. Some people are choosing to own guns. So, there are guns in their home. On the tragic rise is toddlers with guns – because people are NOT safely storing their guns. Little kids are getting killed. Little kids are killing. Because they FOUND THE GUN! Of course, little kids don’t know the danger of a gun but only have seen them fired on TV – you just point it and shoot, right? So they do. At their little sister. At their mom. At anyone. This a story about a 2 year old in the car’s back seat who reached under the driver’s seat, located a gun and then shot his mother – and killed her, as she drove. Embedded in this Washington Post article are links to more and more stories of small children shooting others with guns. It’s on the rise. Read each tragic story. It’s happening. This article, alone, references at least four incidents. This Denver Post article, dated May 1, 2016 is entitled, “Toddlers Have Shot 23 People in the U.S. This Year“. Toddlers With Guns. WHO leaves guns where tiny people can find them? Child in a Boat With No Life Jacket. SERIOUSLY? I grew up in MN, land of 10,000 lakes, where there are lots and lots and lots of boat and swimming activities. Regardless the many responsible parents, there were/are continual stories of drownings because a boat overturned and the little kids did not have on life jackets. What is more obvious than a life jacket on a child when in a boat? Equally, what is more OBVIOUS than storing your gun somewhere completely safe? What’s THAT in this drawer? I’ve been teaching Babysitting Safety/CPR to youth age 11+ for 16 years, now. Only recently have I begun to add to class this piece of advice, “I recommend you talk to your parents about if the babysitting home has a gun somewhere and is it SAFELY stored?” I want no one to get hurt with a gun – but a young babysitter may not be aware of the potential danger to their own life. I never thought to add this warning until teaching classes now, in 2016. It’s a real issue. And how utterly stupid that it’s happening at all! 5 Steps to First Aid? 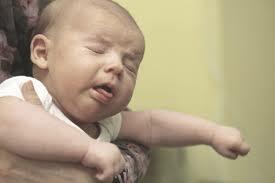 Sneezing advice is important to know – and share. TV tip-over like falling 10 stories? Did YOU know this about newborns? If in DOUBT, call 911 OUT! Whose Life Might You Save with CPR? Answer the Door When Babysitting? Maybe a head and neck injury? 6 yr old boy calls 911 – saves MOM! Good Samaritan stories – Saving Lives! Stayin’ Alive SONG helps you do CPR – it’s the right speed! Your Babysitter/Nanny is trained – be sure that YOU are, also! Babysitters, reading “rocks”. Imagination grows with books, not TV.